The bathroom is a super important space in any home; it’s the place you relax and refresh yourself in so it must feel comfortable and inviting especially when you’re climbing into the tub for a soak. Creating a serene space to unwind in was a priority for me when decorating a home. I’ve put a lot of effort into our bathroom to create a space that’s enjoyable to be in. 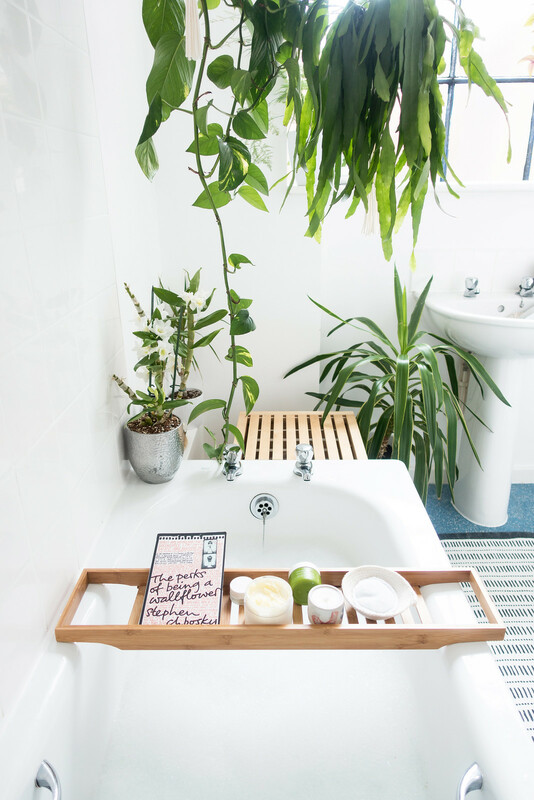 Having a bath in this space is cosy and inviting with plants hanging from every surface and plenty of treats to be had when it comes to skin and haircare. 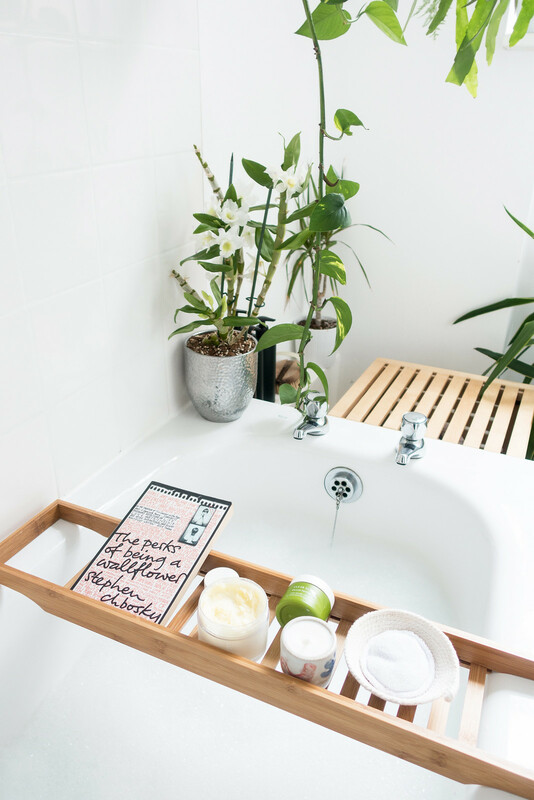 This is my ultimate routine I like to indulge in for a dreamy bath-time experience. I don’t have baths that often but when I do I like to make them super special. It probably seems a little over the top for some people but I like an excessive amount of bubbles, I light a bunch of scented candles and tea lights, pick a playlist, and get the lighting just right. To get the bath exactly as I like it, I mix a bath soak with a body oil or bath salts to create lots of soapy bubbles and water that will soften my skin. A real treat is the Tropic Oil-To-Milk Bath Soak* range containing essential oils, which flood the bathroom with delicious scents. I scatter tea lights around the room, light a few scented candles - fresh scents or botanical-inspired candles are the best - and turn off all the lights because moody lighting is the best. I’ve filled our bathroom with plants, they’re everywhere! It makes the room feel like an indoor jungle with macrame hangers and trailing plants on every available surface. I was going for jungle vibes for the bathroom’s home decor and I think I nailed it; if you turn all the lights off and play jungle music it’s pretty magical in there. My number one rule in the bathtub is: no phone. 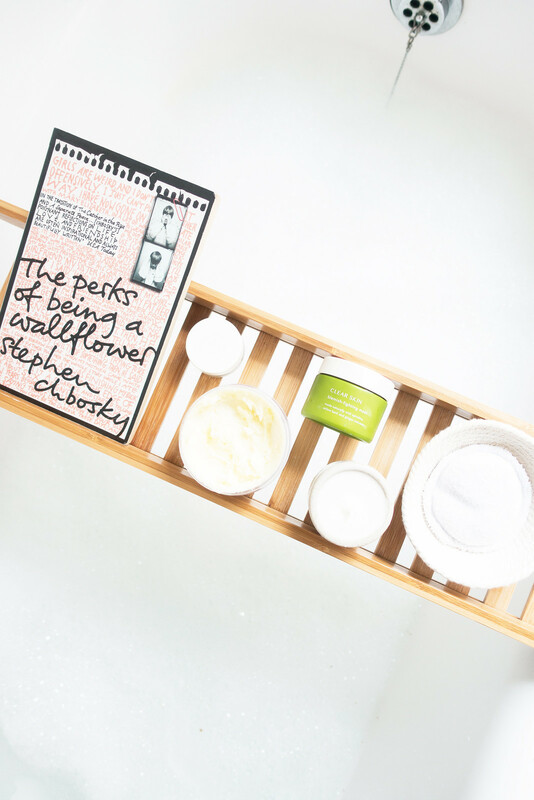 A long soak in the bath is a great chance to catch up on my reading list; it’s one of the few opportunities to switch off completely so I like to make the most of it. Whenever I’m soaking in the tub I like to indulge in some serious skincare treats. If my complexion is a little congested or my hair needs extra care, I like to apply a mask and let it work its magic. I’m usually impatient with treatments so wallowing in the tub is the perfect opportunity to invest some time into caring for my skin and hair. The only trouble I experience with my complexion is the odd bout of congestion during the changing of seasons. If my skin is feeling dry and dehydrated or I notice it looking a little tired or congested, I like to use the Tropic Clear Skin Blemish-Fighting Mask* It’s powerful enough to fix any issues without being harsh on the skin; it draws out any dirt helping to prevent breakouts, and reduces redness. If I need something a little less powerful, I like to apply the Nature’s Alchemist Balancing Clay Face Mask* - it’s gentle on the skin and leaves my complexion looking fresh and bright. Facial oils are my absolute favourite skincare treat, I like to apply them day and night to keep my skin looking its best. 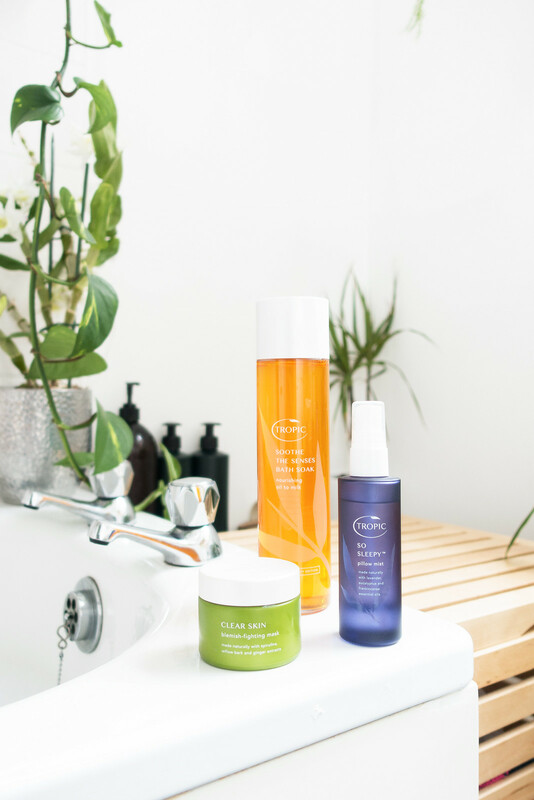 My current favourites are The Ordinary 100% Plant-Based Squalane* and Tropic Organic Elixir Age-Defying Facial Oil*. 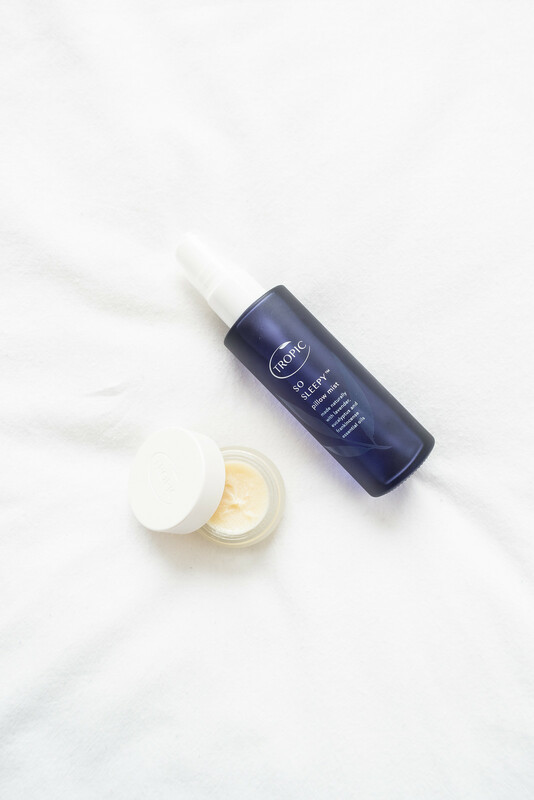 Both help with hydration, helping to improve skin tone and suppleness, and keep my complexion moisturised and hydrated. Hair care is super important to me and finding the right products is crucial to keeping my hair in top condition. When I’m soaking in the tub I like to apply a hair mask, the Noughty To The Rescue Intense Moisture Hair Treatment* is a thick cream packed with oils to help nourish, treat, and repair. My hair isn’t damaged but to keep it looking super shiny I like to apply this once a week for a few minutes while I’m in the shower; in the tub I leave it on for 20 minutes for an intense treatment that leaves my hair looking and feeling amazing. Bath-time is as much about what you do afterwards as it is about having a relaxing soak. For me, it’s important to keep the cosy-feelings going. I never do anything except wrap up in a dressing gown and get into bed after having a bath. I make sure it’s the last thing I do at the end of a long day so I can cosy up, fully relaxed, and drift off into the best night’s sleep ever. Before I get in the bath I like to change the bed sheets so when I get out I have a fresh bed with plump pillows and crisp linen to climb into. Anyone else have their bath so hot it hurts? Me too. 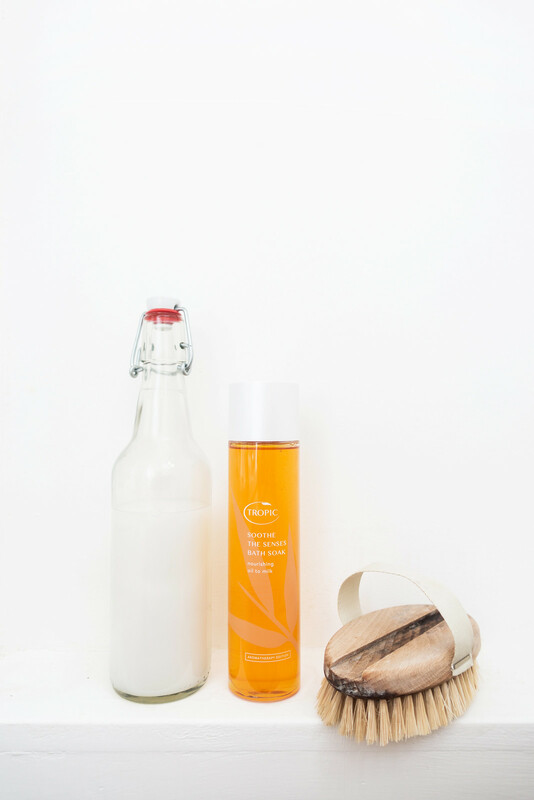 Right after bathing I slather myself in a body moisturiser; the Tropic Whipped Buttermelt* smells of dreamy vanilla and melts right into the skin leaving you feeling silky smooth. Before I hop into bed I like to use a pillow spray, Tropic So Sleepy Pillow Mist*, it helps me relax and induces sleep making it easier to drift off. It’s packed with essential oils including lavender, rosemary, chamomile, and rosewood, which makes your room (and your pillows) smell absolutely divine.